We are offering Air Dryer. Our air dryer is developed from optimum grade components & contemporary techniques at our manufacturing unit adherence to set quality standards. 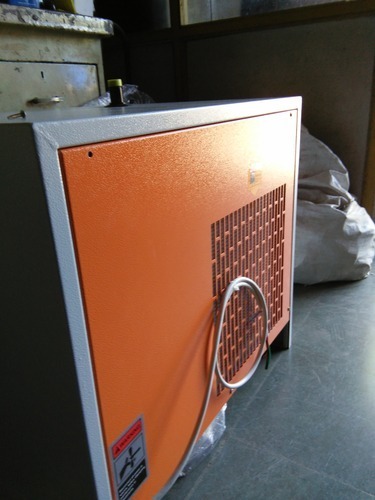 The offered air dryer is used to remove moisture from the compressed air by reducing the level of temperature. Incepted in the year 1998, We “Nutan Electric Engineering” are a foremost manufacturer of a commendable range of Industrial Transformer, Isolation Transformer and Voltage Stabilizer. We are a Sole Proprietorship Company which is situated at Rajkot (Gujarat, India) and instrumental in the production of an extensive range of transformers and stabilizers in large quantity and with assured quality. Under the headship of our mentor “Mr. Kanti Patel”, we have been able to finish emerging requests and demands of our customers. we are offering our product under the brand name Real-1.